The rent at Willowdale Crossing Apartments ranges from $1,100 for a one bedroom to a $1,257 two bedroom. Apartments in this building are about 14% less expensive than the Frederick average. This is a pet-friendly apartment. This apartment is in Frederick. Nearby parks include Willowdale Park, Hillcrest Park and Waterford Park. Willowdale Crossing Apartments has a Walk Score of 70 out of 100. This location is Very Walkable so most errands can be accomplished on foot. The community offers a large selection of amenities including multiple pools, playgrounds and dog parks, a 24-hour fitness and business center, off-street parking, BBQ grills, and nearby bike and walking trails. Inside the apartments you'll find a variety of options such as newly upgraded apartments, spacious layouts, large walk-in closets, and private outdoor living areas. Professionally managed by Berger Rental Communities, residents are provided with unmatched lease flexibilities, and access to an award-winning on-site maintenance and office team. Make your move to Willowdale Crossing Apartments today. 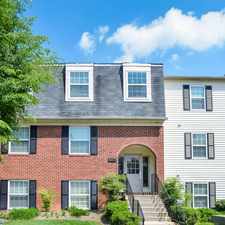 Looking for a home for sale in Frederick? Explore how far you can travel by car, bus, bike and foot from Willowdale Crossing Apartments. View all Frederick apartments on a map. Search for homes in Frederick or find a Frederick real estate agent who knows walkable neighborhoods. Links will open on our partner site Redfin.com. Willowdale Crossing Apartments is in the city of Frederick, MD. Frederick has an average Walk Score of 44 and has 65,239 residents. Furnished Studio - Frederick - Westview Dr.